Natural birth: Backlash as UK footballer brags about wife's drug-free birth. The birth announcement from a husband that was met with backlash from mums everywhere. It was a tweet full of pride. 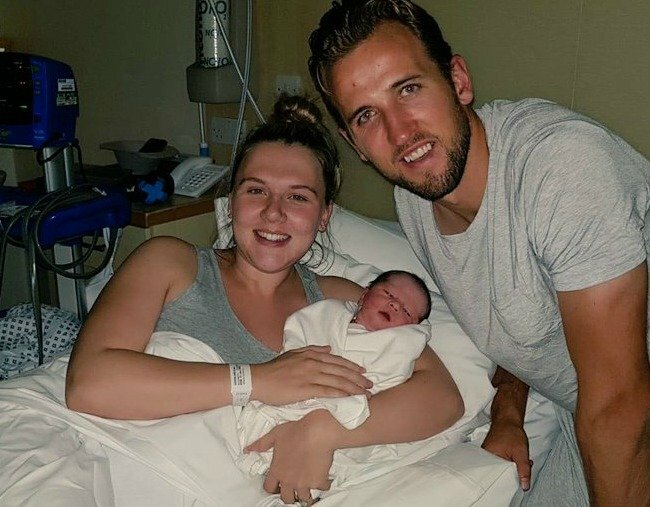 UK footballer Harry Kane wanted to share with the world the news that his wife had delivered their second daughter. “So proud of @KateGoodlandx for having the most amazing water birth with no pain relief at all,” he posted last week. Kane’s tweet was met with a backlash. Kane did sound a little like he was bragging. And when having a baby is so unpredictable and fraught with risks, should the drug-free bit really be the bit to get excited about? In the last few decades, birth has taken on a quietly competitive edge. The more natural, the better. Vaginal delivery with no drugs, particularly if the labour has been long and gruelling? The best. When this attitude is taken to its extreme, we see women free-birthing: having babies at home, with no qualified medical support on hand. There’s Jessie Goetze, delivering her first child in her bathroom, with the family dog standing nearby. There’s Sarah Schmid, giving birth to her sixth child in her backyard, next to the slide. There’s millions of YouTube viewers in it when it all goes right, and terrible, heart-breaking tragedy when it all goes wrong, and a child is lost who might have survived, had medical help been available. 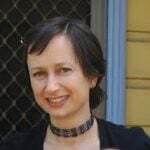 The risks of glorifying free-birthing are obvious. But we also need to be careful not to glorify drug-free vaginal birth. Most women would love to have an intervention-free delivery that’s natural and empowering. But some women, despite all their preparation, just aren’t going to get it. And when we glorify drug-free vaginal birth, that gives these women a feeling of failure. Which is a really crappy feeling to have hanging over you when you’re beginning motherhood. I had an epidural, and it was absolutely the right decision for me. And yet I was left with the nagging feeling that I hadn’t fully succeeded at birth, that I was a bit weak. Why do we put this pressure on ourselves? Kane didn’t mean to offend anyone with his tweet. But the fact that he did shows that there’s a lot of sensitivity around birth and the words used to describe it. Over the past week, Kane’s “so proud” comment has been turned into a hashtag. Women have been explaining why they’re #soproud of their births, whether they’re drug-free and natural or not. One woman said she was #soproud that she was “able to birth my breech baby at home”. Another said she was #soproud that she “made it through major abdominal surgery whilst AWAKE”. Surely that’s a tweet that everyone could love.